Lou has 40 years experience working with IRS qualified plans of all types and for all categories of plan sponsors, including trade associations, Fortune 500 companies, government entities, and labor organizations. Starting with the first regulations under ERISA, he has closely followed dozens of intervening federal laws and hundreds of IRS and DOL regulations. He has in-depth knowledge of all substantive areas of qualified plans and the best practices of plan sponsors, financial institutions, and third-party administrators. He has unique expertise with group annuity contracts and life insurance in qualified plan arrangements. 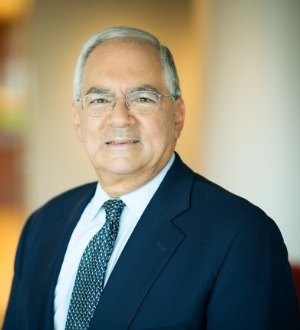 Lou taught a far-ranging ERISA seminar in the widely respected Georgetown Law School LLM program for 5 years and has spoken and written extensively across the U.S. on a host of subjects. Lou's expert witness and mediation engagements range from disputes over executive stock options, scrivenor's error in qualified plans, life insurance and survivor benefits in qualified plans, and the IRS' Voluntary Compliance Program. His expertise is often sought by other law firms seeking second opinions on complex legal issues and assistance with IRS letter rulings, technical advice, and determination letter programs.